Do you have a business idea dancing around in your head, but you're stuck on where to get started? 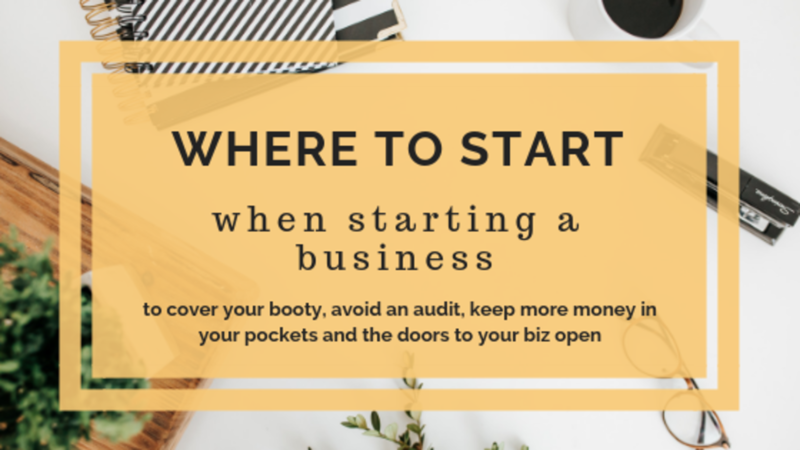 Need help figuring out exactly where to start when starting a biz? I’ve been there, not too long ago. And I know how overwhelming it can be making the leap into entrepreneurship. You spin your wheels, consider the 20 things you need to do, and as you go to check each item off your list, you find 10 more things you never even thought of to add to that ever-growing list. You are busy and you want to work on the fun stuff in what little time you have… like making a pretty web page and growing your social media following. As a CPA and an entrepreneur myself, I’ve seen so many people in your exact shoes who prioritize wrong and jeopardize their success. You focus first on the fun stuff, or what seems most important (like making sales and perfecting products), and you push off thinking about taxes til taxes can’t be pushed off anymore. You think because you aren’t profiting yet that taxes don’t really matter. You think because the tax deadline isn’t in the immediate future that it can wait. You just don’t want to think about taxes at all, so you keep finding other things to work on. Your business is never too small to worry about taxes. The best time to make sure you’ve set your business up properly is the day you start spending money on your business or bringing in sales, whichever comes first. Ignoring taxes does not make the responsibility go away. In fact, the longer you wait and the more you just go about your business haphazardly, the more mistakes you’re making, the bigger your risk is, and the more money you’ll spend in taxes, tax preparation, penalties, and interest. I’ve seen entrepreneurs with a real shot at success close shop because they didn’t set their business up the right way and those compounding mistakes left them with an IRS bill bigger than their bank account and no choice but to head back to the safety net of a life sucking 9 to 5 job where the taxes are managed for them. This does not need to happen to you. You have what it takes to be successful, and more importantly, you deserve success. You have a passion and a purpose and people who need what you’re offering. With proper guidance, the tax side of your business doesn’t have to be rocket science (though most CPA’s make a living off of telling you otherwise). To get on the clear path to setting your business up the right way for your specific business, get my FREE Starting a Biz Checklist by clicking here now. This checklist will give you 12 action steps to take or consider when starting a business to prevent you from missing steps and making mistakes that can cripple your business before you have the chance to reach the level of success you’re capable of. Get the complete checklist for a more in-depth dive, but here's what you need to know in a nutshell. Where to Start When Starting a Biz Step 1: Name your business. The real reason you need to name your business is so you can do the next step, registering your business. In today's online dominated world, people are more likely to land on your page by clicking links and they're more likely to care about how your service or product can help them then the name of your business. No biggie - register under your name. 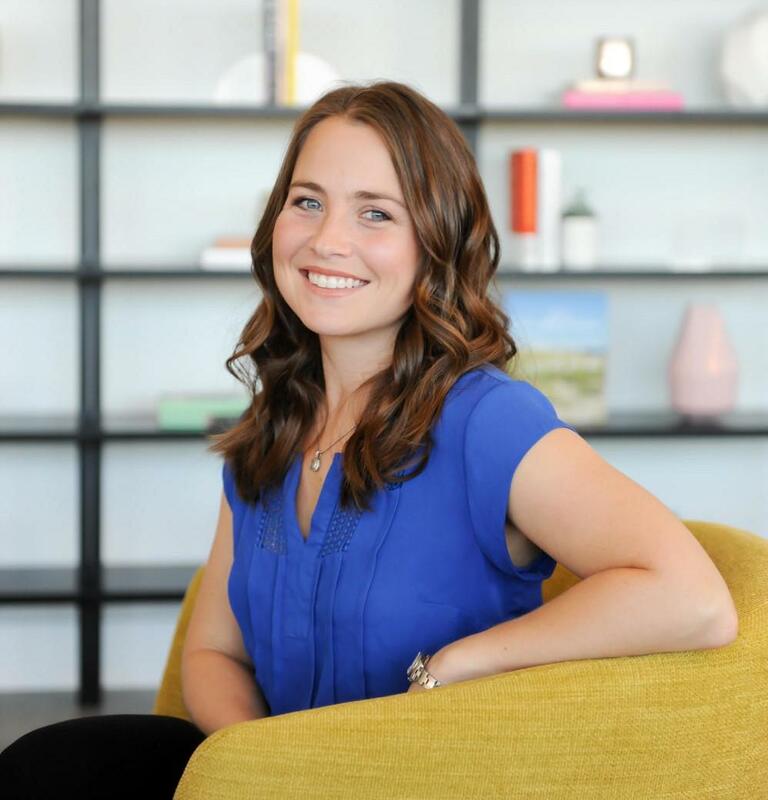 Example: Katie Ferro, LLC or Katie Ferro, Inc. This can always be changed later, or you can simply register for a DBA "doing business as" once that perfect name comes to you, which it will in time. Where to Start When Starting a Biz Step 2: Register your business. There are several options in doing this, and there is truly no one-size-fits all answer for what will work in your business. Once you decide on the right structure for your business, you'll need to register with your state and the IRS. Do nothing, register nothing, and just start bringing in business income and making business purchases (not illegal, just not usually ideal). If you're just one owner, you'll be treated as a sole proprietor by the IRS in this scenario. If you have two or more and take no other action, you'll be treated as a partnership. File for a DBA "doing business as" which just secures your business name only and does not change the way you're treated by default for tax purposes, see #1 above for how the IRS will treat you. Register an LLC, which is often a good choice, but the amount of "members" (or owners) will change how the IRS taxes you. Without an S election, you'll be treated the same as option 1 and option 2 above. Register a Corporation. If you do this and do not file an S election, you'll be filing your business under its own corporate tax return. For very small business this is usually not ideal. Register a Partnership, which can be done if there are two or more owners. Partnerships allow you flexibility in the way you do business but may not be the best if you are a very small, simple business. I realize those bullets above are very general and lack in depth analysis... if you want a deeper dive, get started on your journey with the checklist and join my next masterclass. Where to Start When Starting a Biz Step 3: Consider other types of taxes. There's more to small business taxes than just income tax. As a business owner, you need to think about sales tax, payroll tax, and other filing requirements, like 1099s for independent contractors. 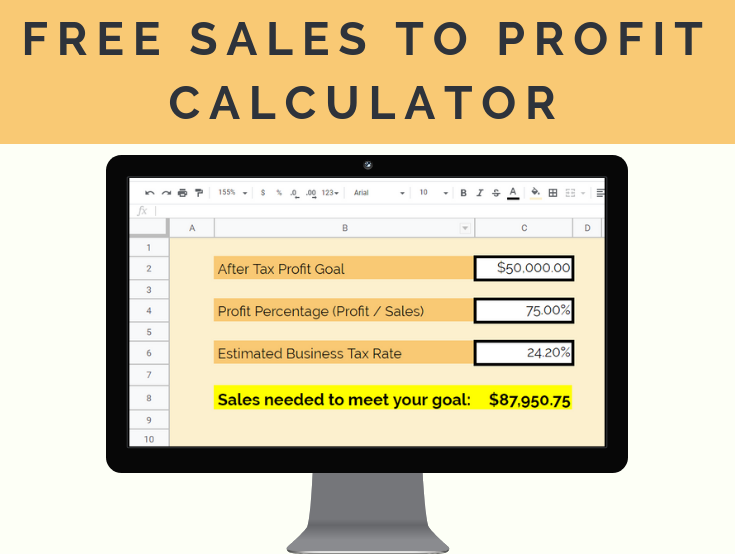 It's important to note that sales tax is completely separate from income tax. Sales tax is handled at the state level and each state has their own rules for what is taxable, the rates, and how to file. You don't want to just pretend sales tax doesn't exist. If you're required to collect and pay sales tax on a state's behalf and you don't and that gets discovered, it'll be you who pays the tax, plus penalties and interest once you end up on the state's radar. If you hire help or if you have decided to be an S Corp, you'll need to consider payroll tax. As an S Corp owner of a profiting S Corp, you need to be paying yourself a salary through payroll which means filing payroll tax returns for the state and IRS. If you're hiring help, you need to determine if that help is an employee or an independent contractor. This is based on guidelines and not just which one is easiest for you. In either scenario, the forms you need to get from your help and the forms you file with the state and IRS are different, so be sure to work out the differences. Where to Start When Starting a Biz Step 4: Decide who will file your taxes and do your bookkeeping. If your business will be filed as a sole proprietor, you keep good track of your records, and your business is simple enough, you can do your own taxes. If you've decided to be taxed as a partnership, S Corp, or corporation, you'll need to hire a professional tax preparer. The best time to start working with a CPA or tax preparer is when you're considering registering your business. The relationship is established, they can guide you through the decision making, and in many cases, they can even sit and file the paperwork with you to avoid mistakes. It may seem overwhelming, but it's often not. It may seem costly, but most CPAs will even do this for you for free to establish a long term working relationship with you. Bookkeeping, or a system of keeping track of sales, costs, and profits, should be done. Some CPAs will do this for you, you can hire a bookkeeper, or you can do it yourself with online tools or even spreadsheets. Whichever fits your business and your budget should be done. It's so crucial to your success to have an idea of where you're spending money and what your actual profit is at the end of the day. You might be feeling a bit overwhelmed right now, but let me assure you these things cannot just be brushed aside. 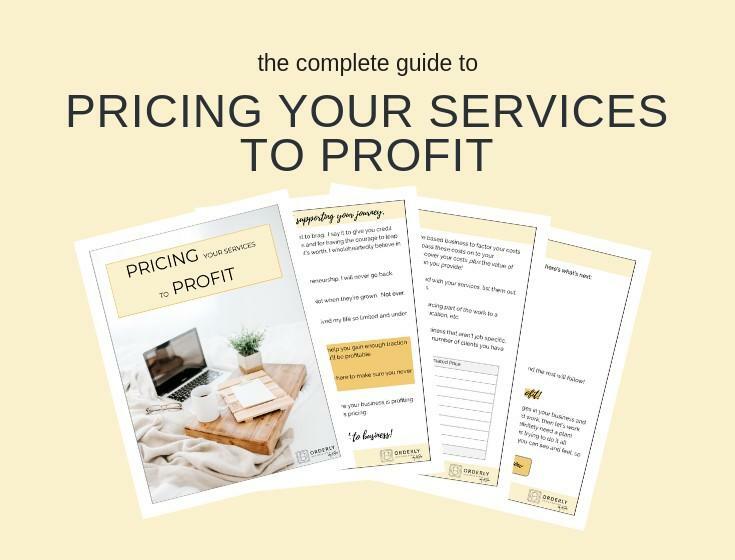 You now have a general idea of what to do next, so the next logical step is to make sure you've got your one-and-a-half-page FREE checklist, print it out, and start checking items off that list. Once your list is complete and you've made sure your booty is covered, you'll be so grateful that you can rest at night without fear that you're making some horrible mistake and that the IRS is going to come pounding down your door and demanding you to drain your bank account. You have what it takes to make it on your own. I believe in you and I'm here to help.